What are these made of? Read Three Shots Fired from Cinderella Castle to find out. Or just ask your tour guide! Three Shots Fired From Cinderella Castle is an adventure story that takes place largely within Disney property. You would think someone who has been a fanatical Disneyphile for years would be able to write such a story off the cuff as easily as jotting off a quick postcard. Oh how naive you are, my friend. Have you any idea just how detail focused the average fan of the Disney theme parks is? These are the people who don't just know the words to A Pirates Life for Me, they will inform you irritably that the proper title is Yo-Ho (A Pirate's Life for Me). "Get it right, or walk the plank!" I couldn't just blithely scribble off a rip-roaring little yarn and hope they wouldn't notice that I had the exit from The Seas next to the exit for Test Track. They would eat me alive in review. They would publicly mock at me. They would not recommend my tale to their friends and fellow mouse ears wearers. I had to do some sketching to properly orient this for one of the action scenes midway through the book. Luckily, there are a lot of maps online left over from when Discovery Island was still operating as a guest attraction. So, it should come as no surprise that I learned a few things over the course of my research. Details are important to Disney fans. In that light then, allow me to share some of my favorite details that make appearances in my new book Three Shots Fired from Cinderella Castle, some to a greater extent than others. I take a lot of pictures because you never know when you'll need a picture of a wind vane or an old fashioned pepper mill. Ok, I never know when I might need a picture of of a wind vane or pepper mill. Researching for this book, I combed through a lot of those photos looking for clues about where my protagonists might see what, and how they might get out of a tricky situation. Sometimes I'd have Google maps open and compare them directly to my personal photos to figure out exactly where the magic wall, separating backstage from onstage areas, had little portals my protagonists (and villains) might slip through, unnoticed. While I was searching through these old photos, I made some pretty cool discoveries. One that has nothing to do with this story (but might feature in a future one) is this little detail I had never heard anyone else mention. This is the Liberty Belle Riverboats at Liberty Square. A lot of people have noticed the light in the window, but I had always thought it was just an effect, set dressing. Nope. It's a working lighthouse! That picture wasn't particularly important, just interesting. But this next one did play a role in my book research. I came across it in the Two Grumpy People collection. Go to Two Grumpy People for our latest Where In Walt Disney World quiz. Most of my photos, and the ones I found online, were of the other side of the Contemporary, or of the Contemporary alone. But I needed to know what my guys would see from a boat on the lake. I needed to know where the boat docks were and what view the other resorts would have. This picture also gives you a better feel for just how big this lagoon is. On the map, it looks like something you could easily swim or row across. When you see it in perspective, you realize it would take some time to cross without a motorboat... or a monorail. I ended up actually having them approach from the other side, on an even bigger body of water, Bay Lake. Google maps doesn't have street views inside the parks themselves, but the backstage area is pretty detailed. Someone labeled this Google Maps image with the names of the main Epcot parking lots. Turns out I didn't need that information, but the image is very similar to the one I studied for hours. I studied Avenue of the Stars and Overpass Road for so long, I half expected the Department of Homeland Security to contact me about my interests. It was really challenging trying to find an angle from which I could view the pathways leading to the backstage gates in Epcot. Another use for the Google maps was figuring out how my older protagonist would arrive from the coast, what roads he would take, what he would see along the way. Flood damage reported by Jacksonville.com for the Florida Time Union - I do not own this photo. The geography of that area is pretty fascinating. Did you know there is a sinkhole located under the Odyssey? I didn't make that part up! Apparently, Florida is sinkhole Grand Central. There are more sinkholes in Florida than any other US State because it is situated on karst that is around 40 million years old. Combine that with recent construction and development and the pattern of rainfall common to the area, and you have perfect conditions for forming sinkholes. Charlie Ridgeway reportedly told fans at a D23 convention that a sinkhole found during early construction, under what became the Odyssey Center, actually ate several monorail pylons before construction teams built a platform that provided a stable surface to build on. In the years since Walt Disney World was built, a lot more has been learned about sinkholes. It's entirely possible more sinkholes will open up under the parks. Kind of a fascinating idea for a future book, eh? I couldn't resist including this little detail in mine. After all, it's a story that starts with record flooding and a tsunami. Sinkholes kind of go with the territory. Another kind of map I relied on were the FEMA flood maps and hurricane evacuation route maps. These provided the significant details you'll mostly not notice. But if you're from Florida, you know which roads are used for evacuation and which areas tend to flood first. Now, so do my readers. Here's the map. Walt Disney World was designated as an emergency shelter location for the whole Kissimmee/Orlando area at one time. The population of those communities have ballooned and would no longer fit in the utilidors. However, slightly more than thirty thousand guest rooms are filled at Walt Disney World's on site resorts every day. Imagine how many people are in Orlando on any given day in addition to the year round population! In the event of a hurricane or other severe weather, Walt Disney World doesn't shut down completely. Rather, they close their parks, as necessary and in a staggered fashion. People have posted videos of entertainment still going on in the midst of a low rated hurricane. If things get serious enough, they do close even the Magic Kingdom and encourage guests to stay away. But the resorts are still operational, and most guest just hunker down until the weather improves. WDW's buildings are designed to be hurricane safe. Walt Disney World has shut down completely only three times since it opened. But they've had lots of early closing days, or late opening days... and almost all of them due to hurricane. People are always getting busted for bringing (or trying to bring) guns, and even explosives into the parks. After the Orlando nightclub shooting, Disney increased their security measures. They had been searching bags for some time. Since the shootings, they've added a couple metal detectors and people without bags are expected to pass through them. (Disneyland regulars tell us they've been using metal detectors there for some time now.) And now they are doing some remodeling and construction at the front of Magic Kingdom. It's rumored they are improving their security screening and guest control procedures... Maybe someone read my book in advance? Security in the parks is complicated, combining Disney's own security, both uniformed and plainclothed, and local law enforcement. And even the FBI has occasionally gotten in on the act. Plus Disney has to regularly consult with Department of Homeland Security to make sure they are aware of the latest security threats and counterterrorism recommendations. Some of the best details come from putting your eyes and feet where you normally wouldn't go. So, I took the tours. Look, there's no way to really describe the feel and look of a place without visiting it. I've been in the utilidors, and found them to be both less otherworldly, and more utilitarian, than I might have otherwise guessed. They're pretty strict about no taking pictures down there, but a few have been surreptitiously snapped over the years. Not admitting anything myself, but I might have used a few sneaky pics to help me write those scenes. 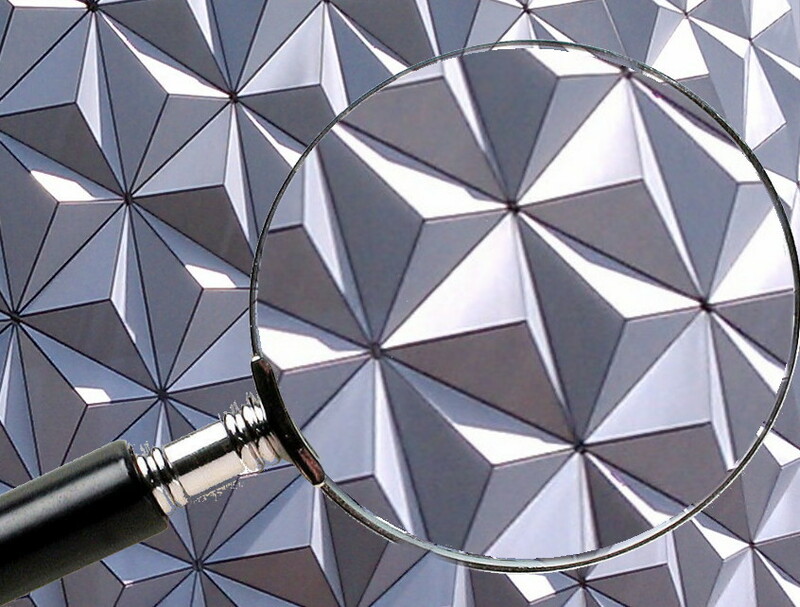 I also used information I got on another tour to talk about Epcot. You'll pick it up immediately when RickWDW85 drops some trivia for his viewers. To give credit where credit is due, I made sure to mention the tour guides. After all, they do good work and deserve the occasional nod. Another helpful bit I got from a backstage tour was the location of that Mainstreet backstage gate. That's the gate my tour group joined the parade route through. So naturally, the security chief in my book exits through it when she needs to find her team on the quick. Some of the most intriguing details regard aviation at WDW. I used a tail number to identify a small helicopter in the book. Of course, I didn't want to use a real tour company's identity, so I looked up a number that wouldn't cause anyone any trouble. I won't tell whose number my little helicopter shares, but in real life, it's not a helicopter. Have fun looking it up! I did. Right along with that, some of you will remember a nighttime guest seen above the heads of parade watchers a short time ago. WDWMagic.com has reported Disney has gotten permission to use not just ultralights, but drones, in their parks in controlled airspace, in multiples. My story was prescient! But also, hooray! I can't wait to see the new drone shows, which I'm sure will be done with the precision and magic that the Walt Disney Company brings to all their entertainment.